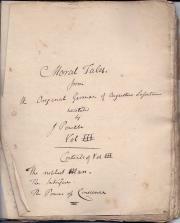 Autograph notebook by the biographer and antiquary Thomas Wright of Olney, containing rough drafts of an apparently-unpublished story or novel ('My Little Lady. A Story without a Moral'), and of a lecture on Daniel Defoe and Stoke Newington. 12mo, 134 pp each on one side of a ring-punched loose leaf, with the leaves attached by green thread within an original worn buckram binder with discoloured endpapers. 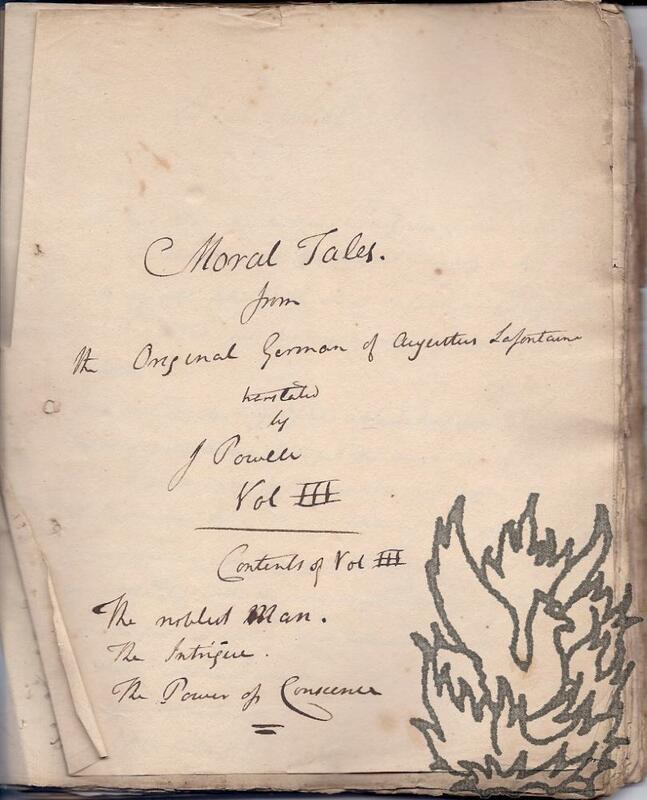 The leaves themselves in good condition on lightly-aged paper; with those of the draft story ruled in red, and sometimes utilizing scrap paper (for example the blank reverses of prospectuses for Wright's books and scrap pages from Blake Society material). 1p., 4to. Crisply printed with black border. In fair condition, on aged paper, with traces of glue from mount on reverse causing slight discoloration and ruckling. The three hymns are headed: 'After the reading of the Scriptures and Prayer.' (first line of hymn: 'WHY do we mourn departing friends'); 'At the Vault' (first line of hymn: 'UNVEIL thy bosom, faithful tomb,'); 'Before the Benediction' (first line of hymn: 'Farewell, dear saint, a short adieu!' No copy located on either COPAC or OCLC WorldCat.